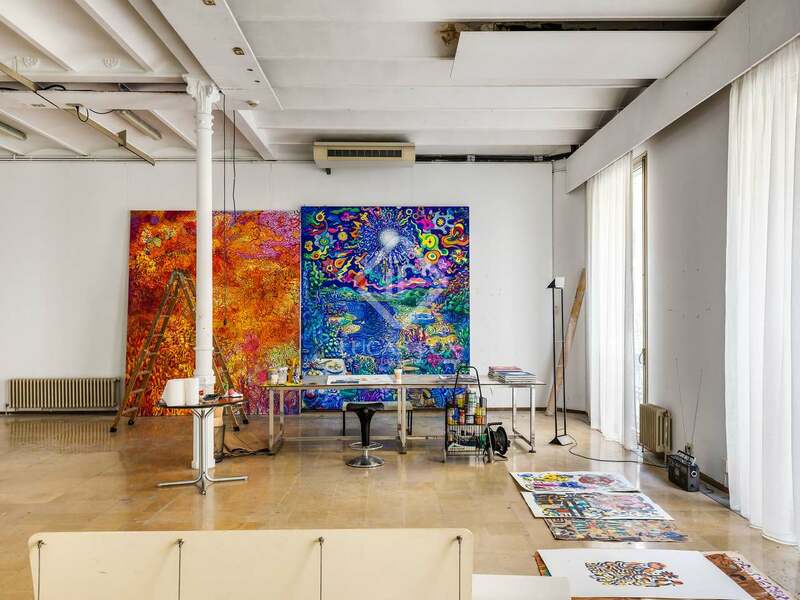 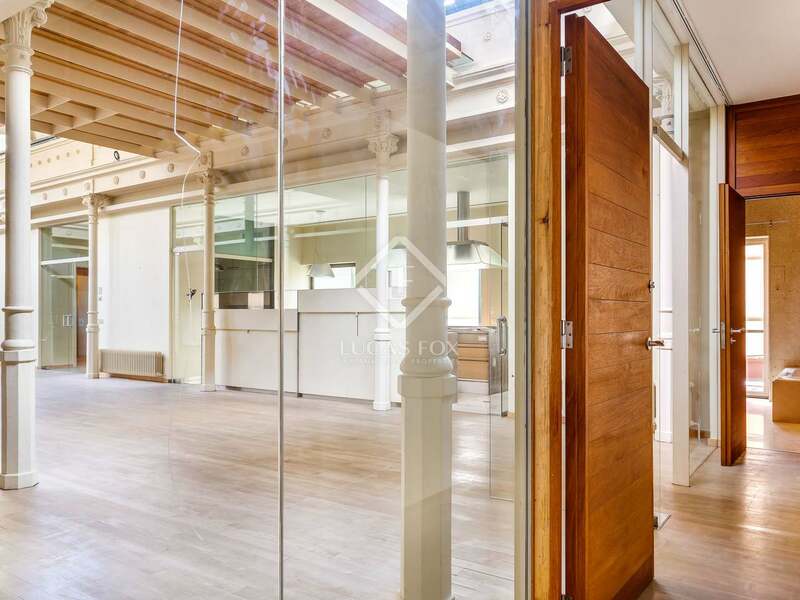 This magnificent building, an old clothing mill, was renovated in 1999 and transformed into an award winning professional studio and 2-storey house that has been recognised for its wonderful design. 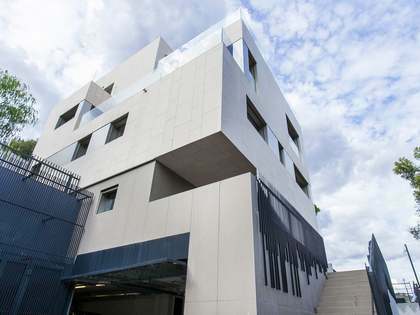 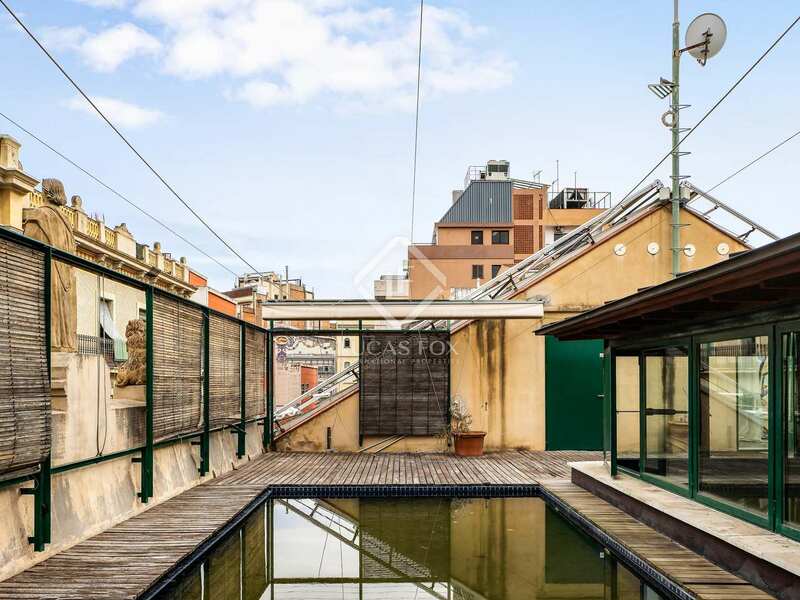 The building, unique on the market, has 3 floors of 300m² each and a roof terrace. 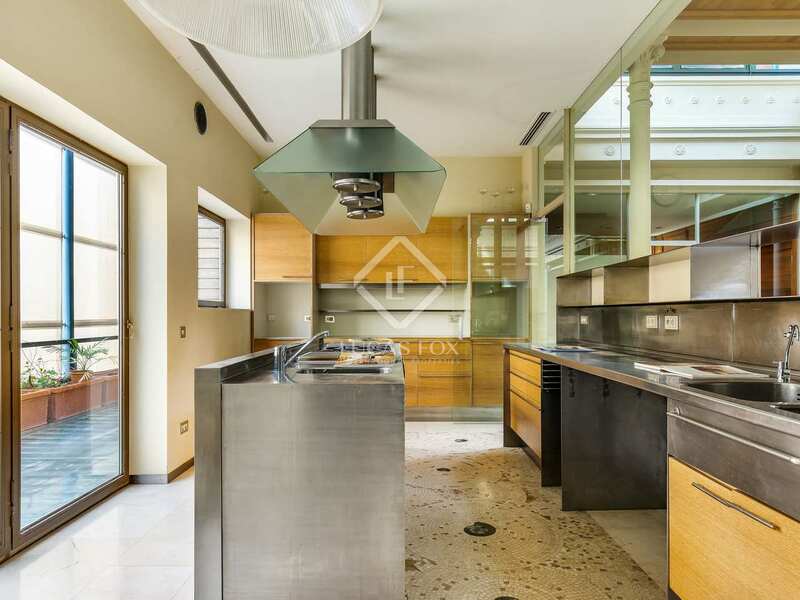 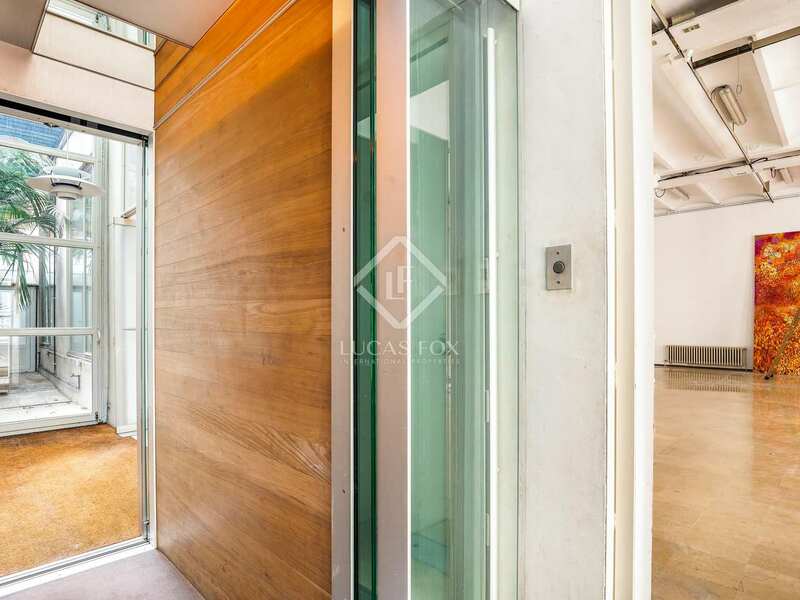 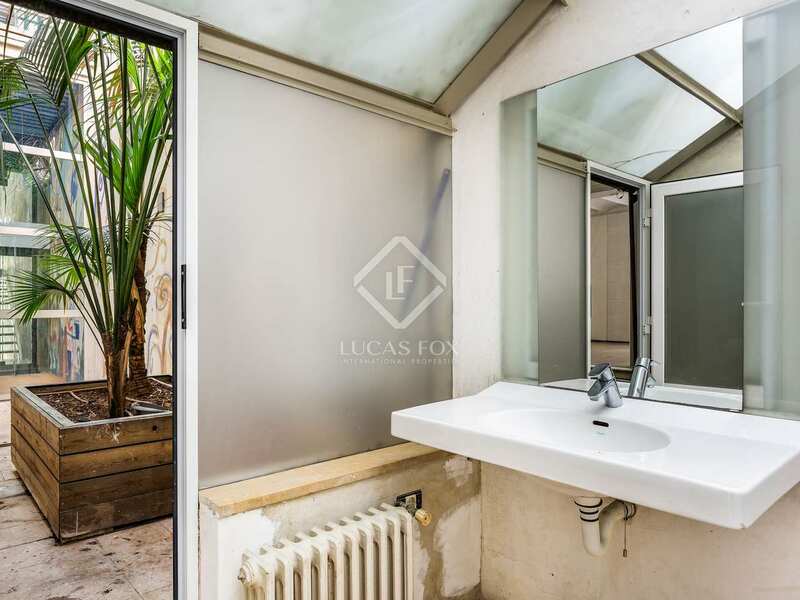 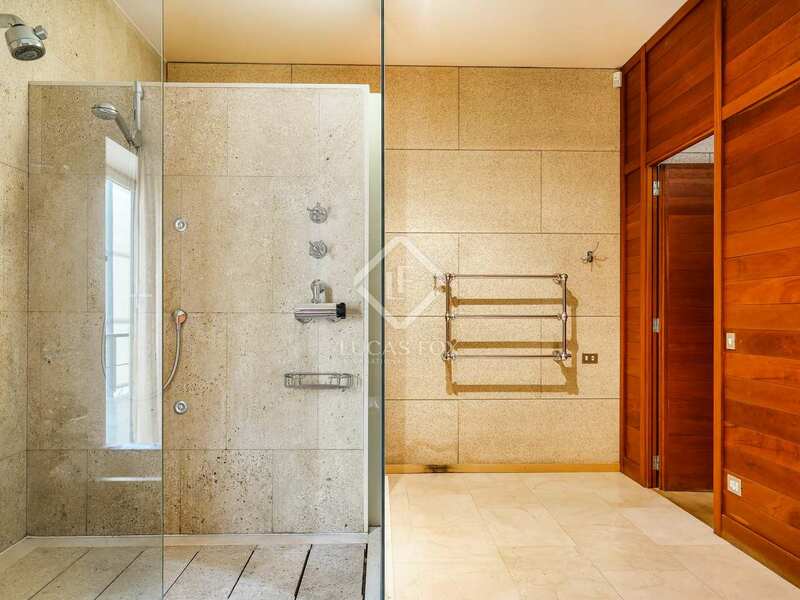 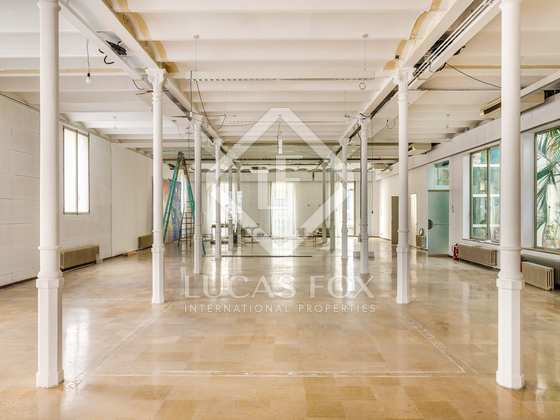 The property offers bright, open spaces with high ceilings with floors connected by stairs and a lift. 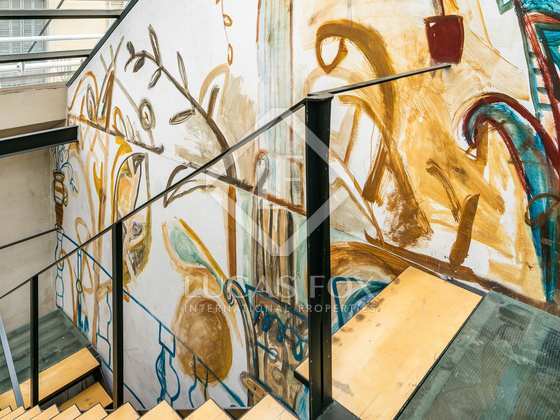 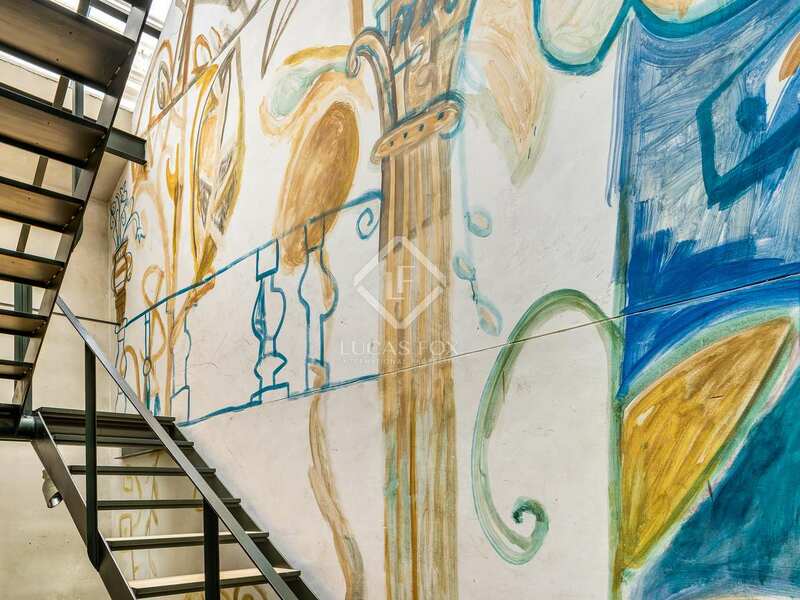 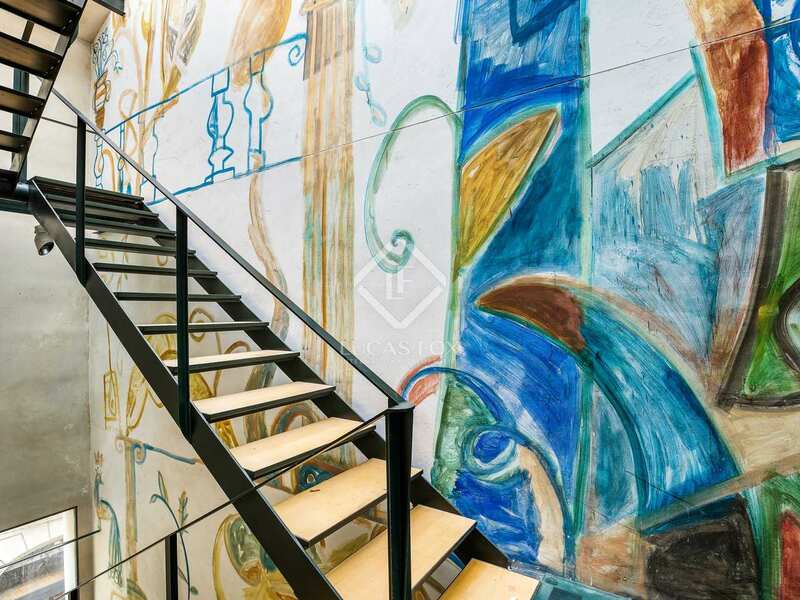 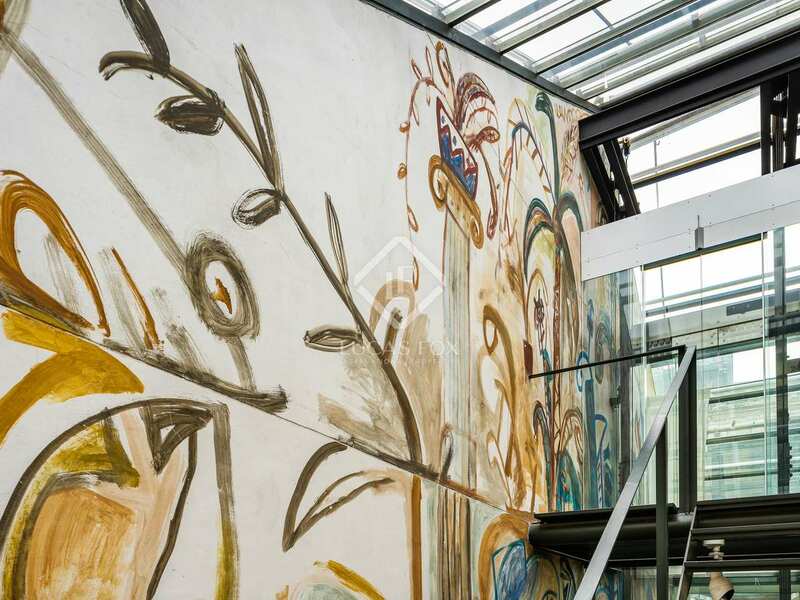 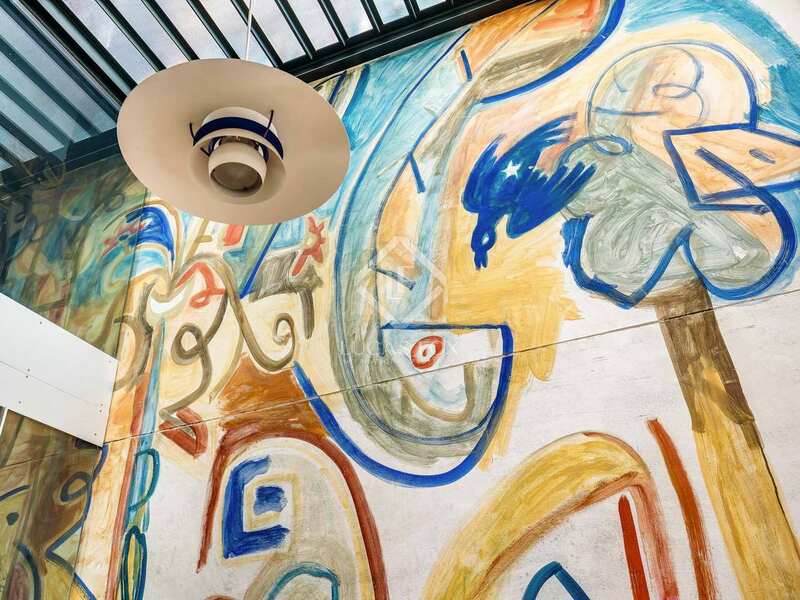 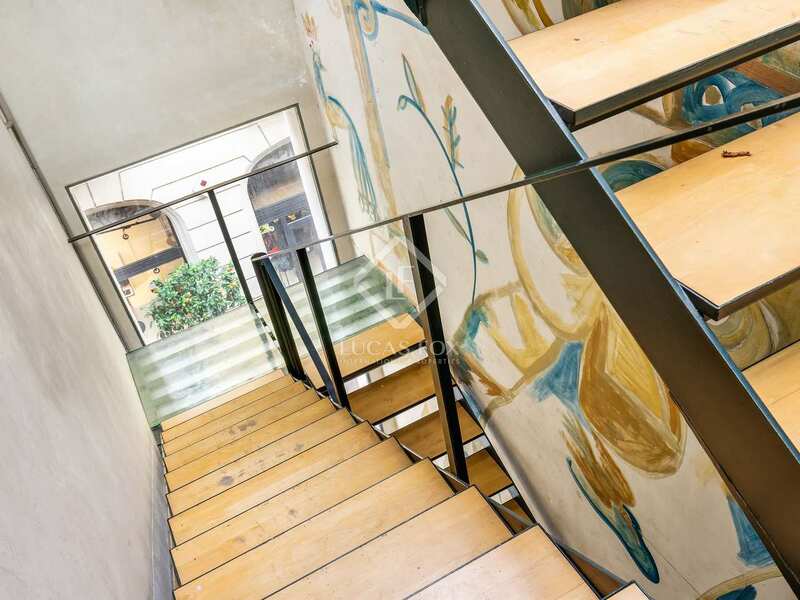 A magnificent mural by Mariscal connects the entire building which enjoys an enviable location on a very quiet pedestrian street. 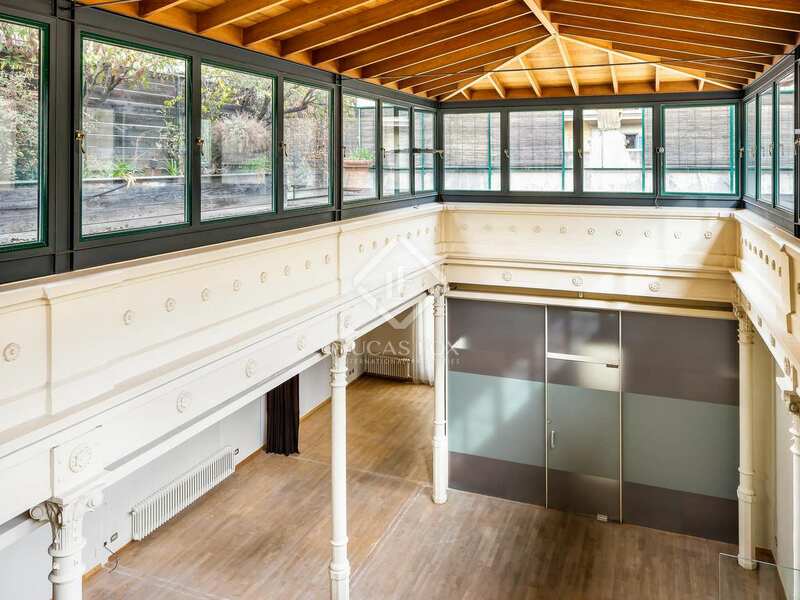 The ground floor is currently a commercial premises, but could be used as a private garage or for another alternative purpose. 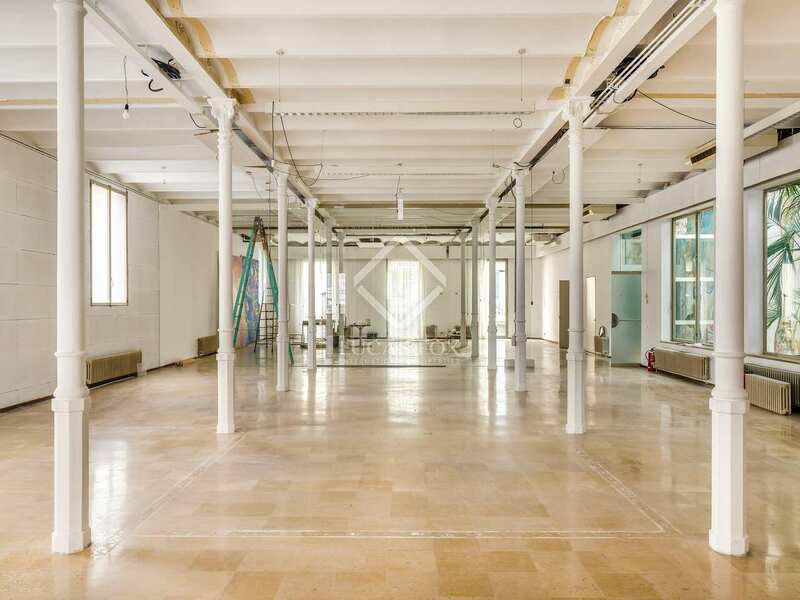 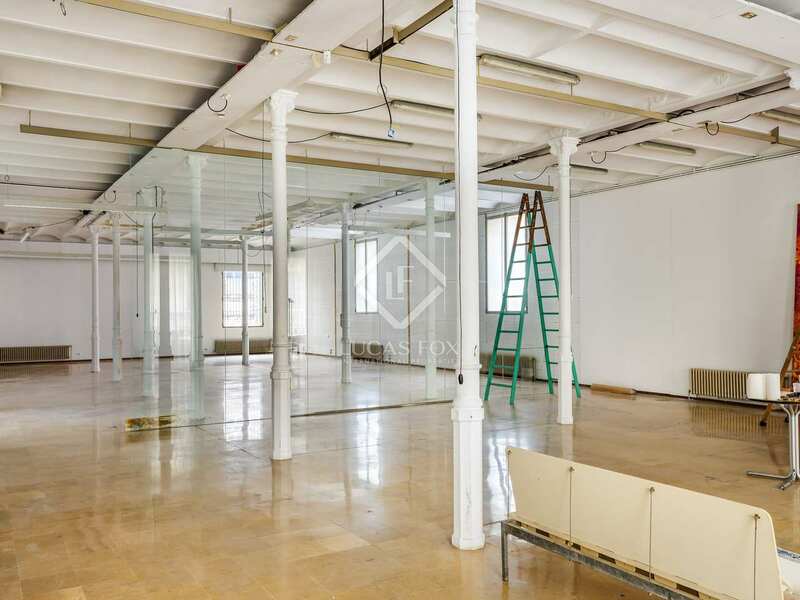 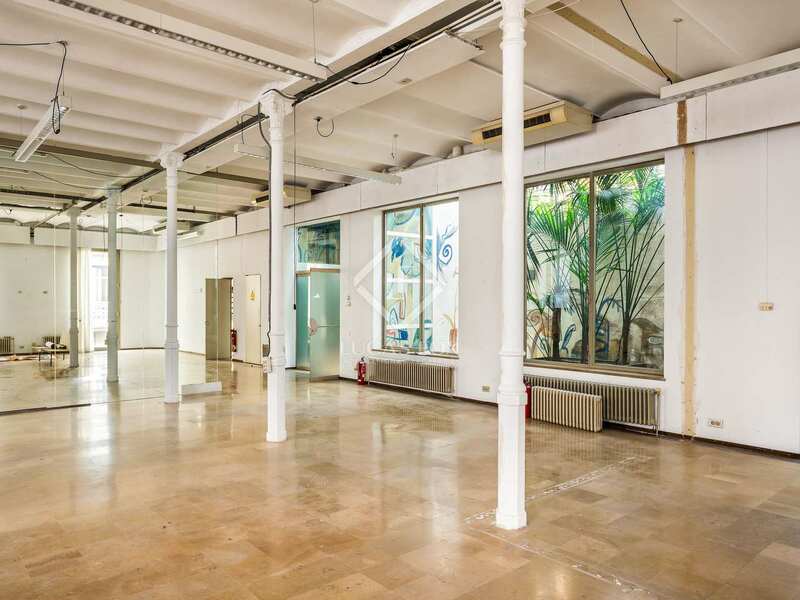 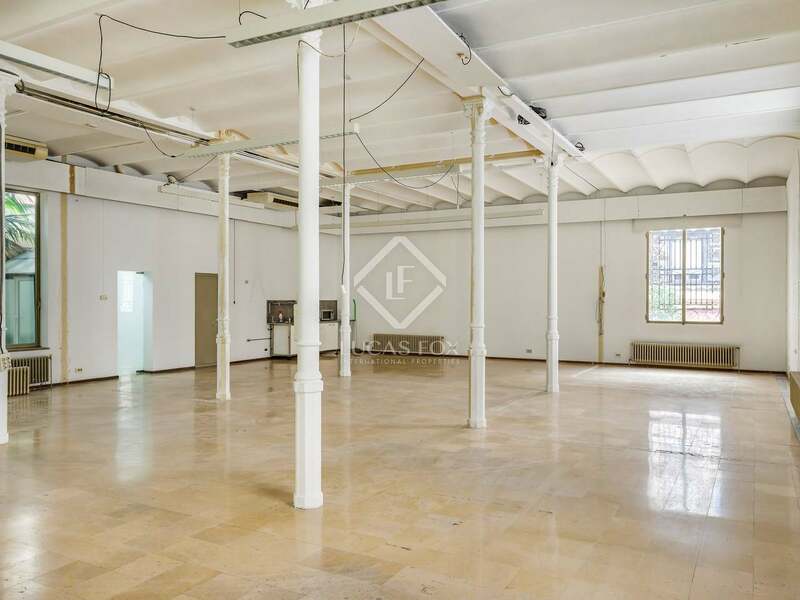 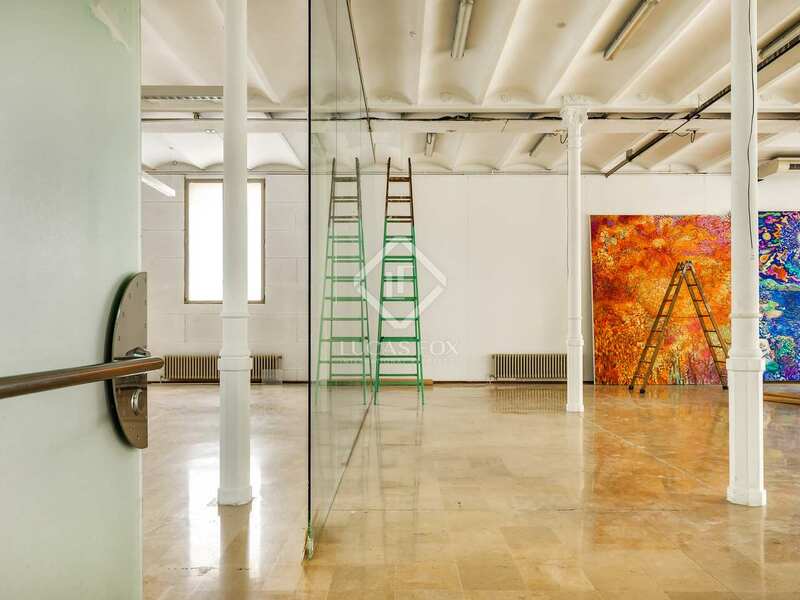 The first floor consists of a totally open space flooded with natural light, which is intended for use as a studio / workshop / coworking space / exhibition hall. 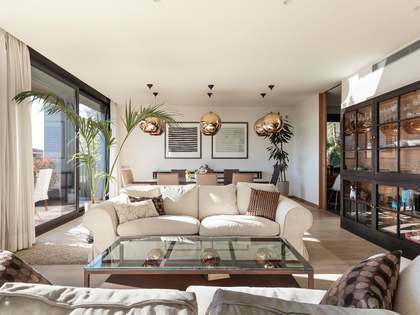 On the third floor we find an open plan area for accomodation, where all the spaces, from the kitchen to the bedroom, are connected to the living room that functions as a central patio, creating a very special home. 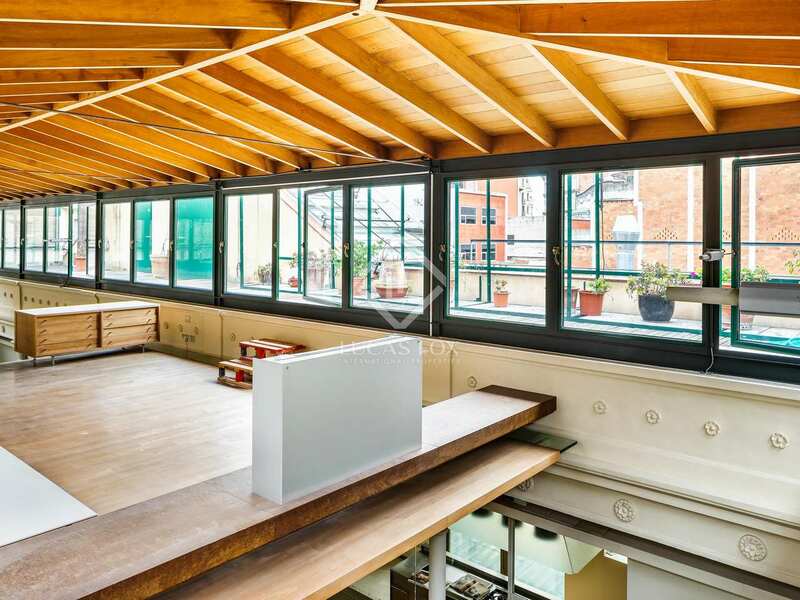 This floor is distributed around a central skylight, which opens into the living room to create a bright, majestic space. 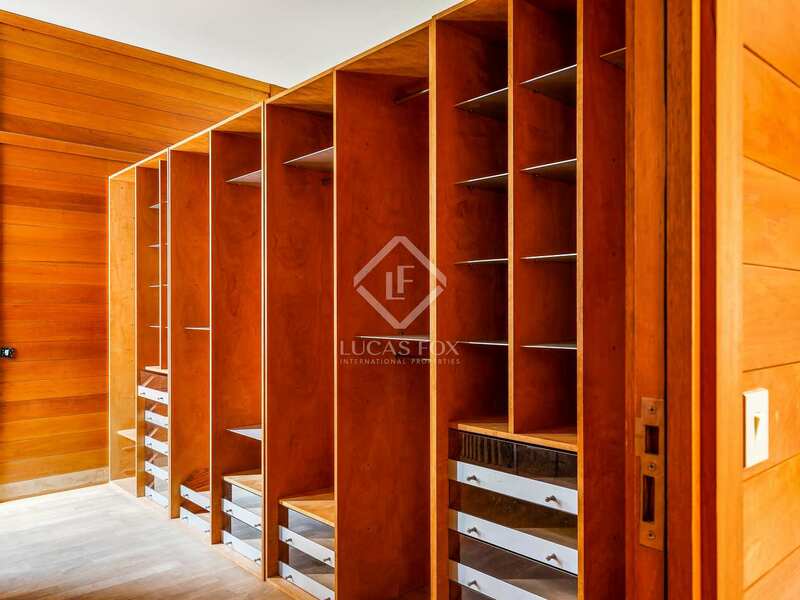 This room also includes a study / library. 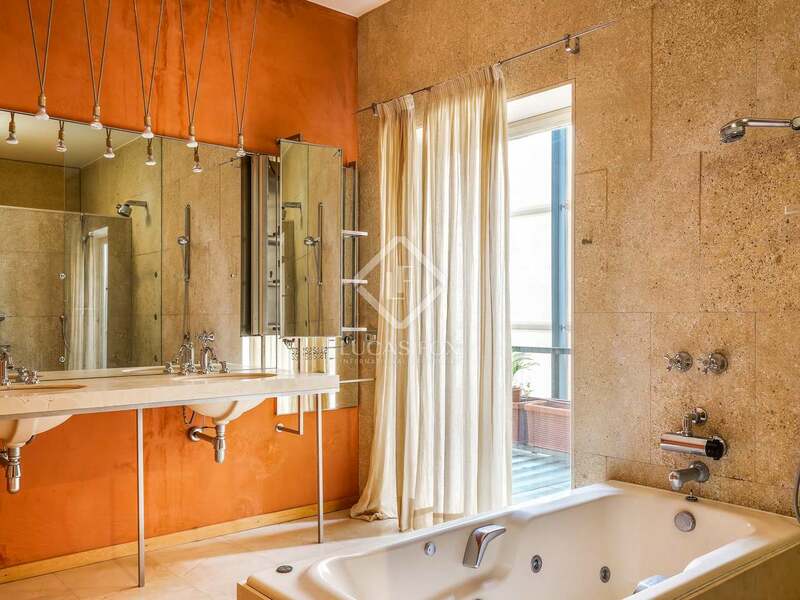 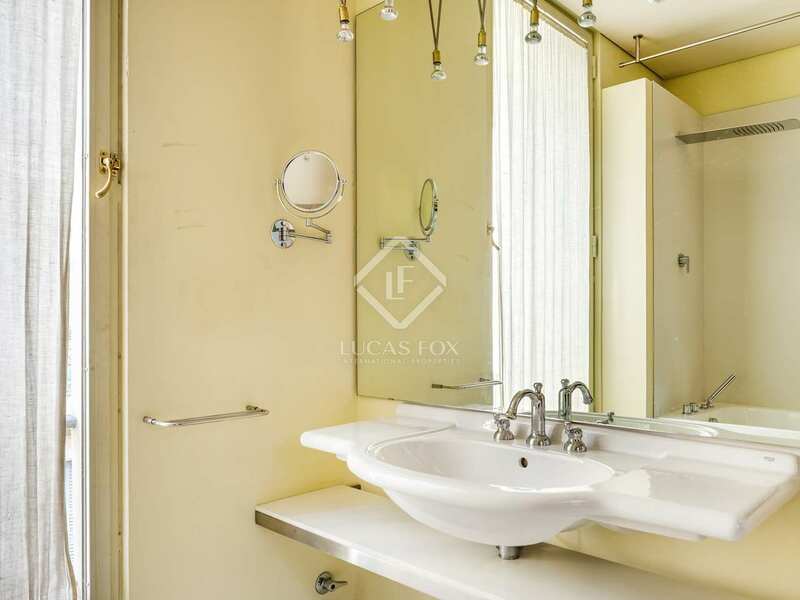 Next, we find a very large bedroom with a private bathroom and dressing room and 2 more bedrooms with a bathroom. 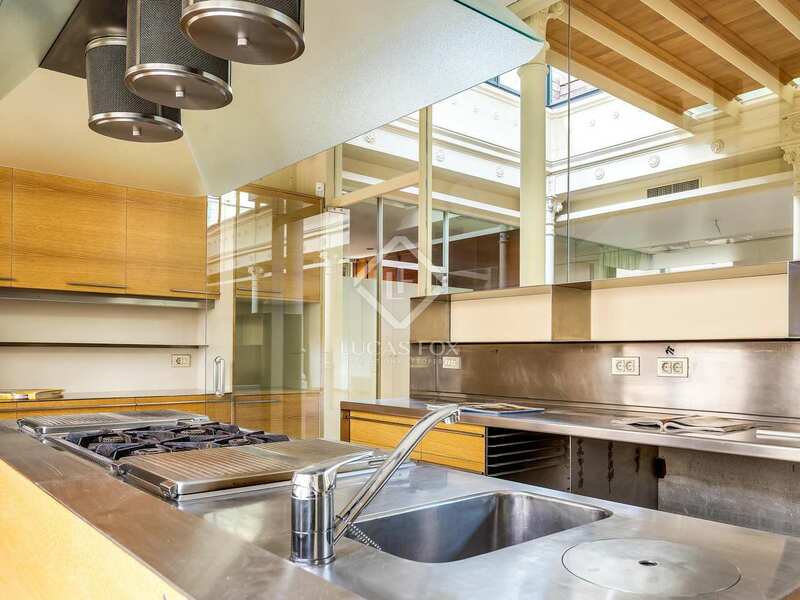 An industrial style kitchen with original mosaic floors completes the living area. 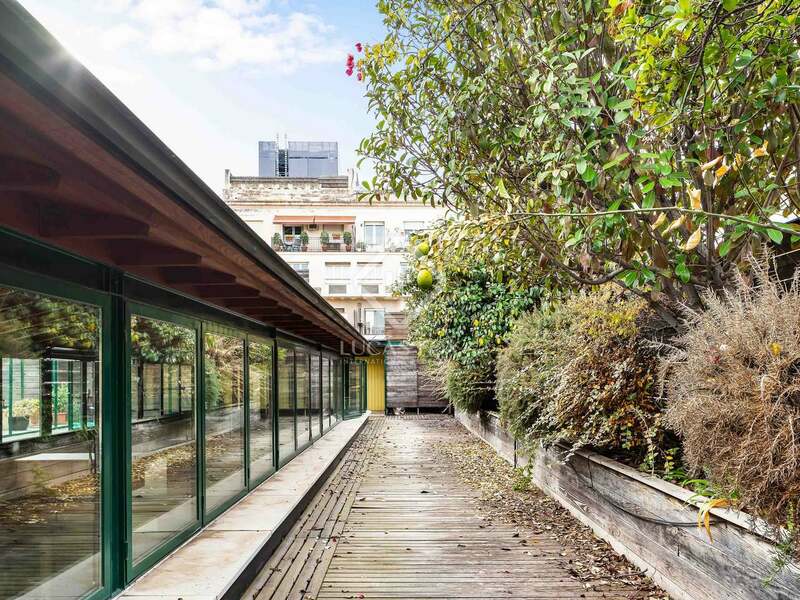 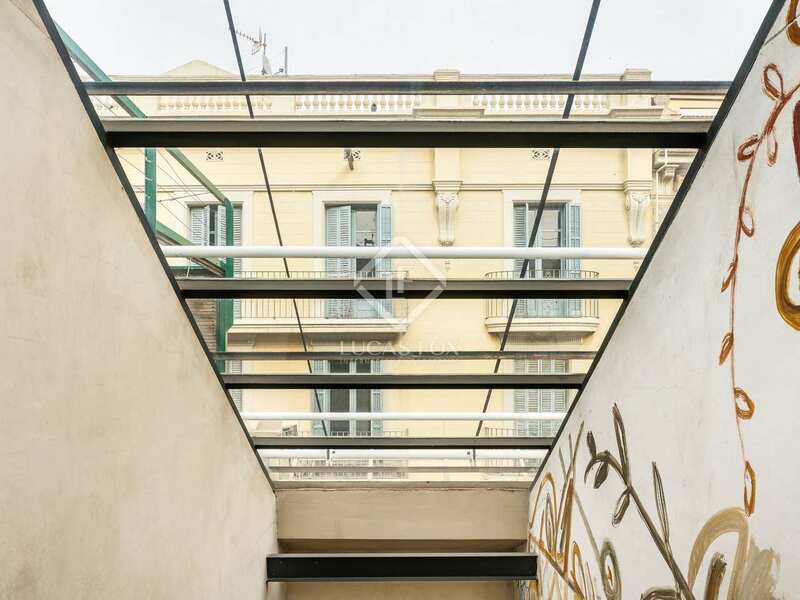 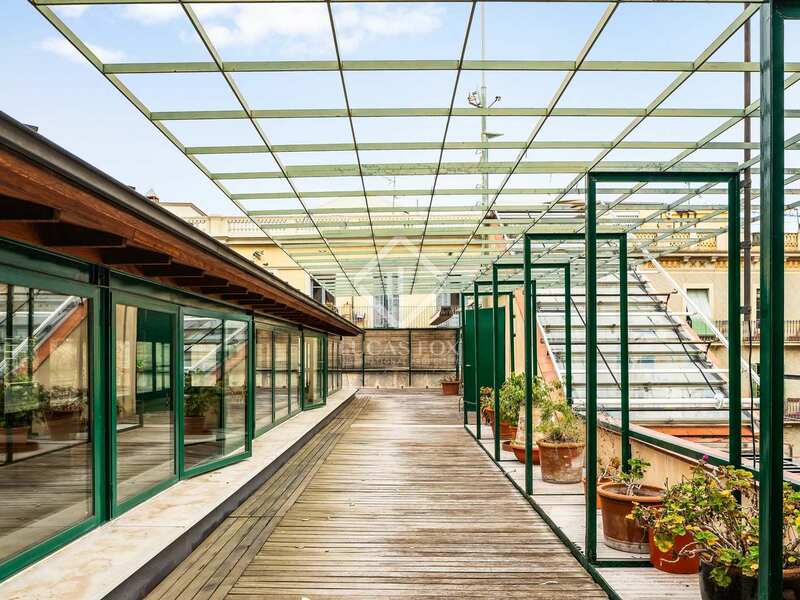 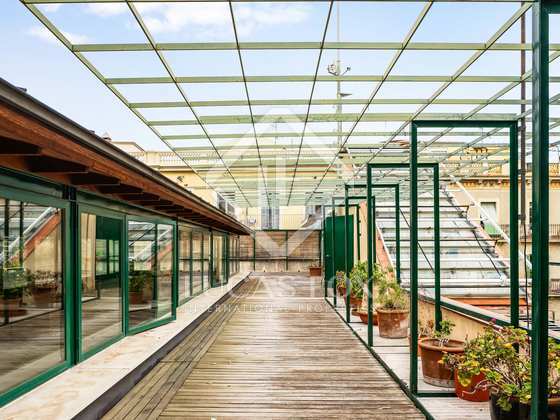 On the roof, this wonderful building offers a leafy terrace with olive trees, lavender and other aromatic plants that is distributed around the central skylight. 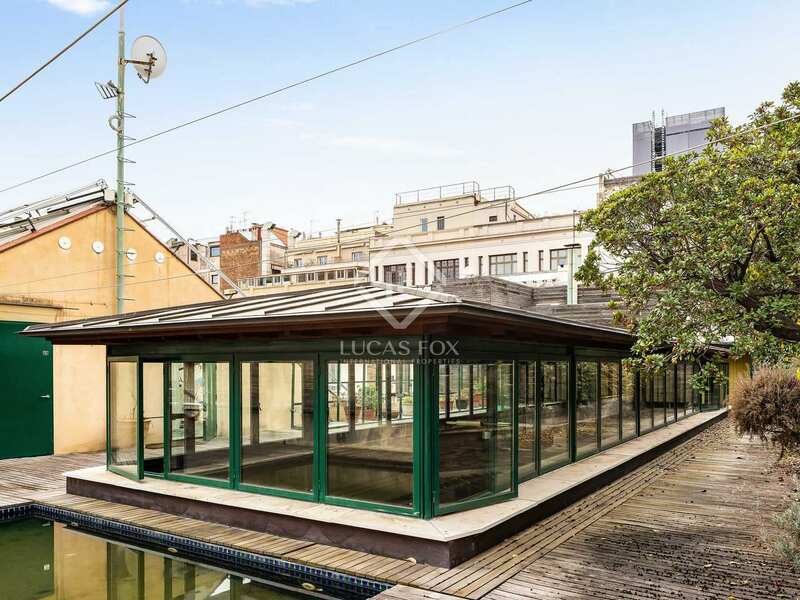 The roof also benefits from a picnic area where you could install a barbecue, a utility area, a kitchenette and a small pond. 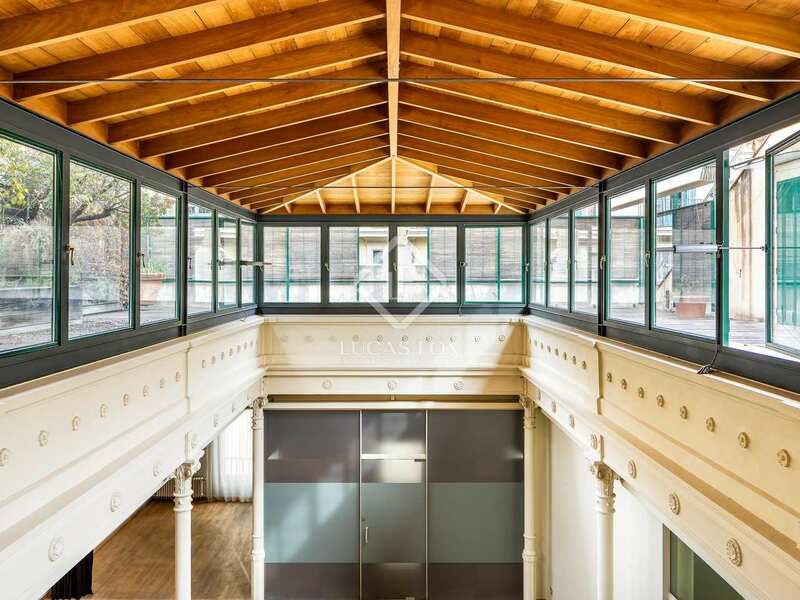 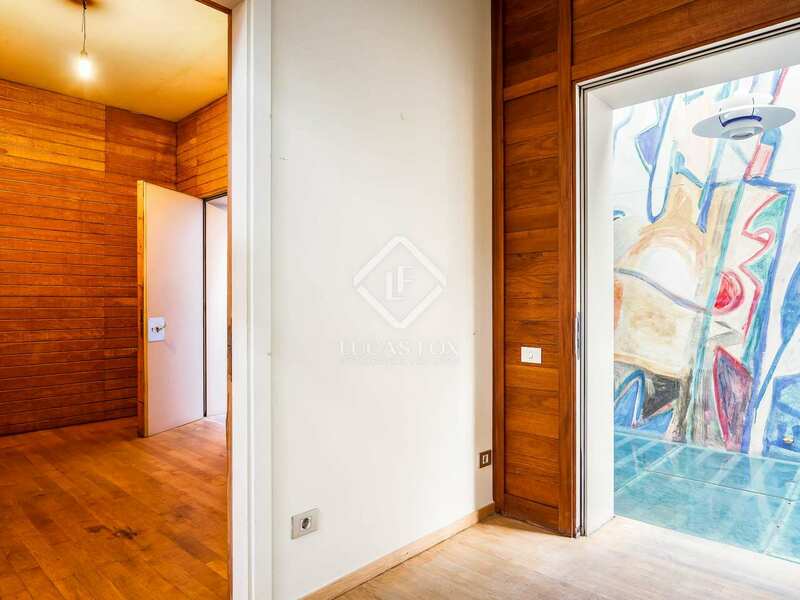 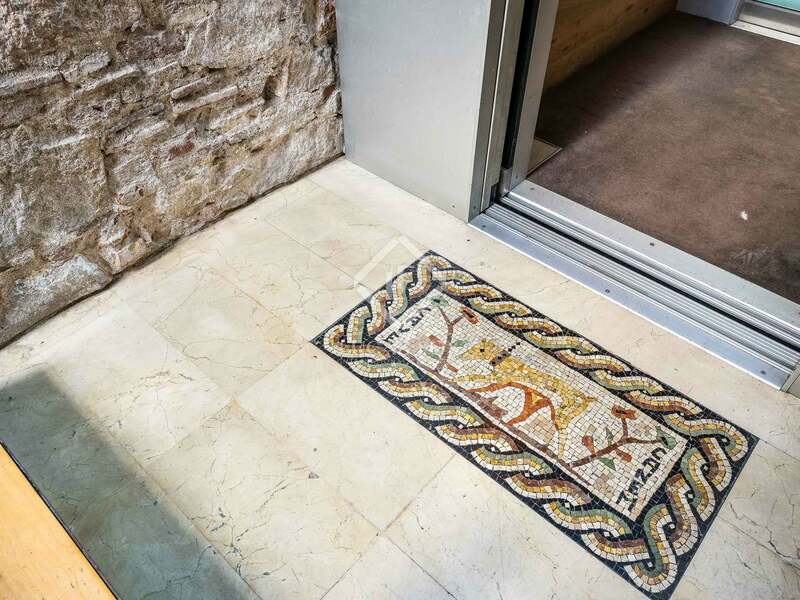 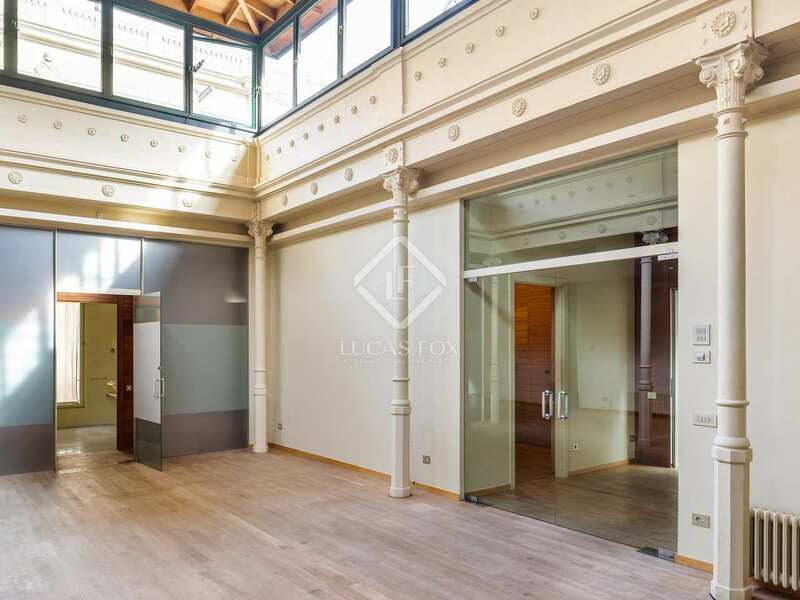 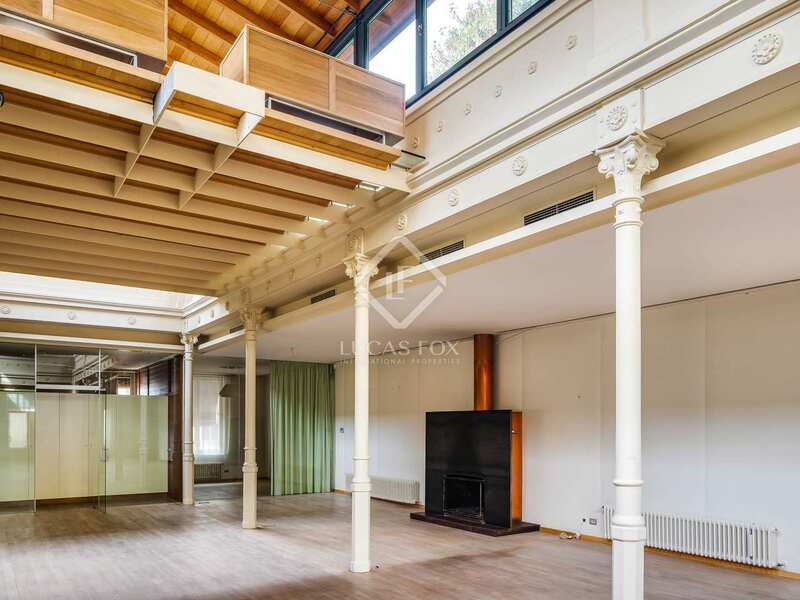 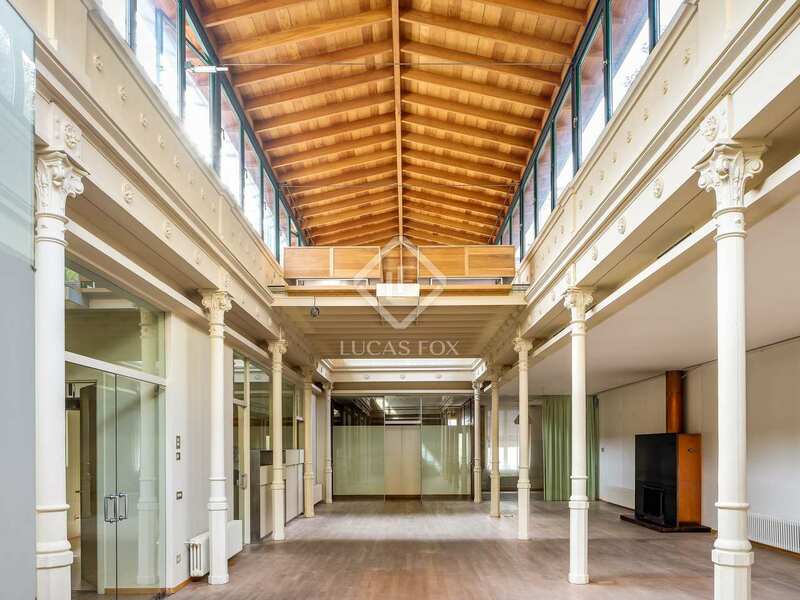 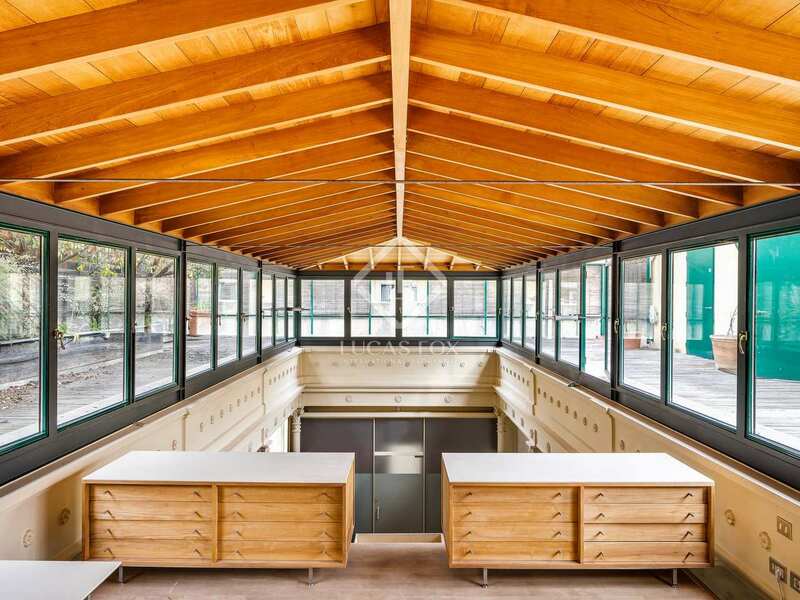 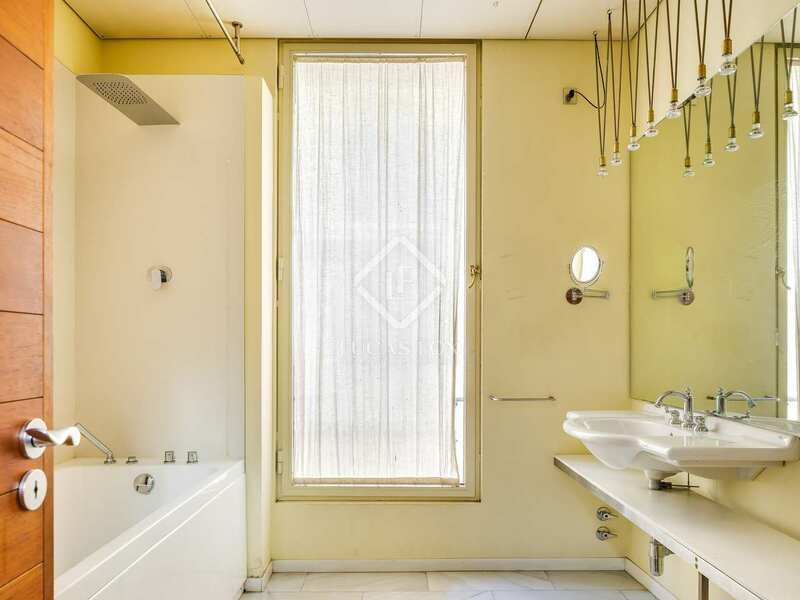 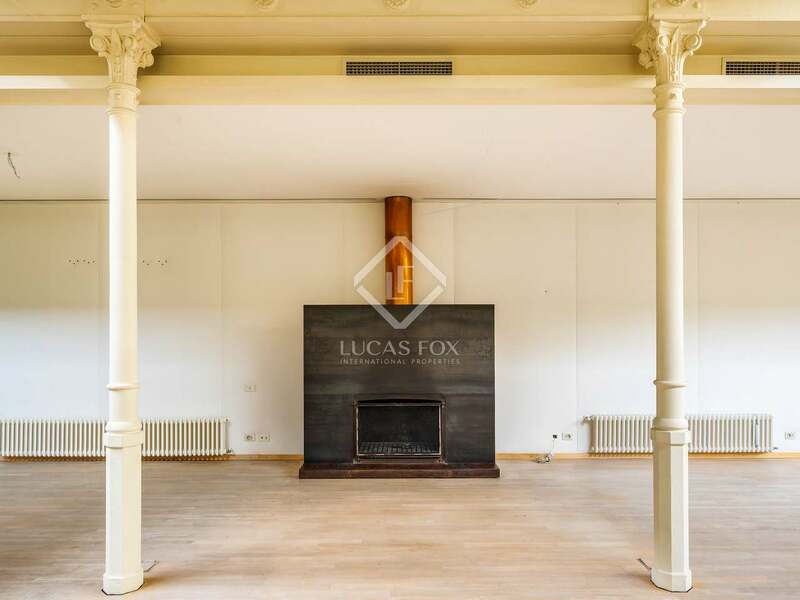 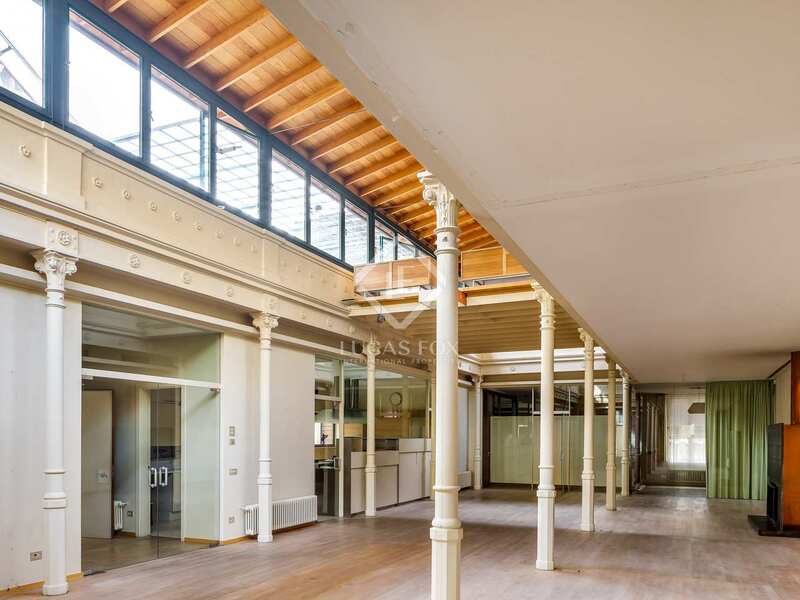 This building has beautiful hydraulic and wooden floors and is equipped with air conditioning and heating to ensure comfort throughout the year. 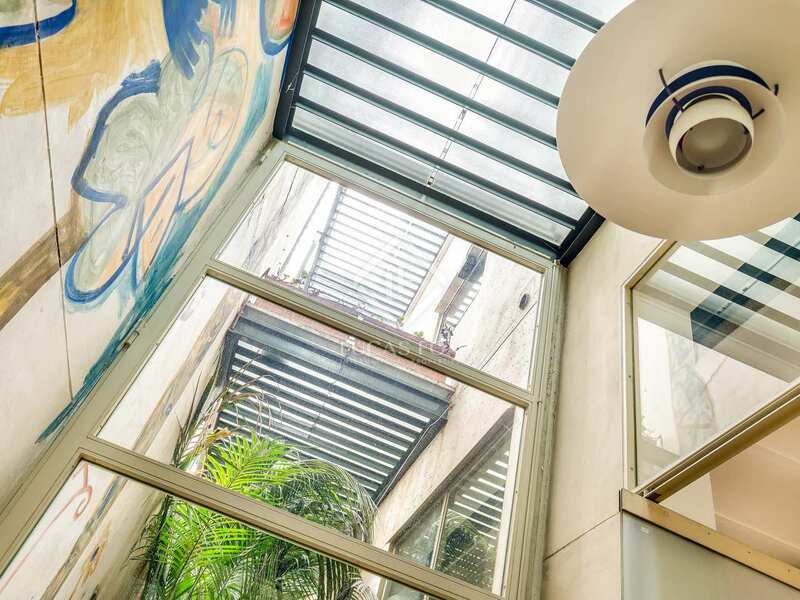 There is an alarm system for total peace of mind. 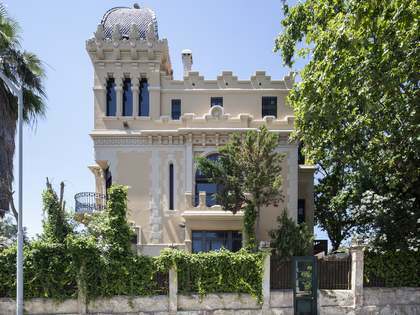 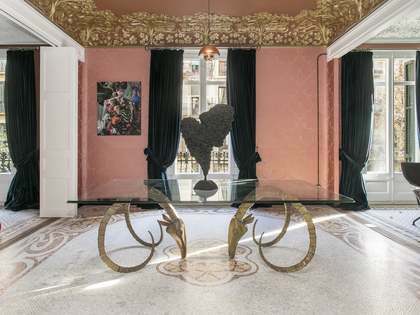 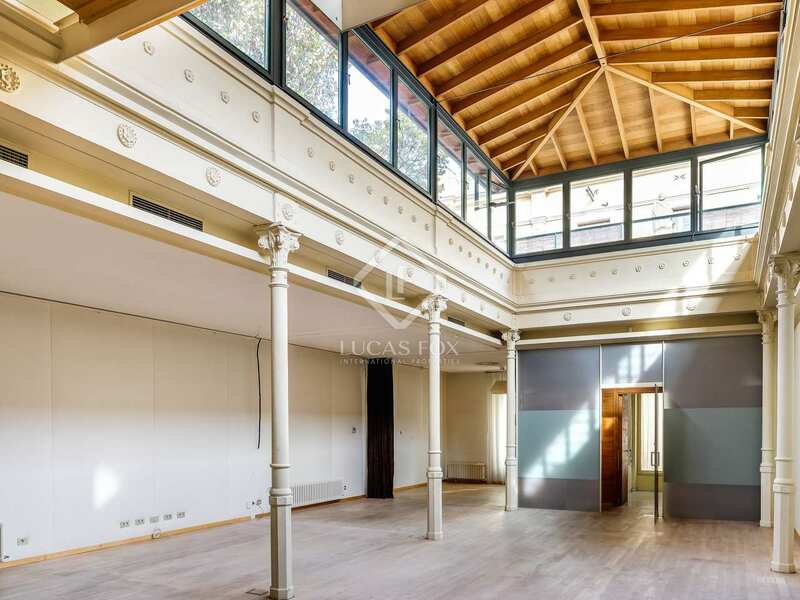 Contact us to visit this unique building in Barcelona. 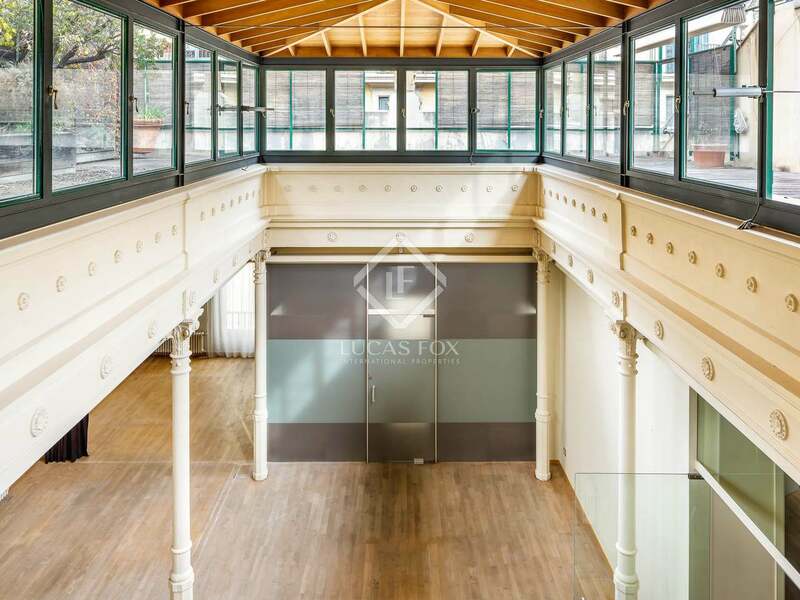 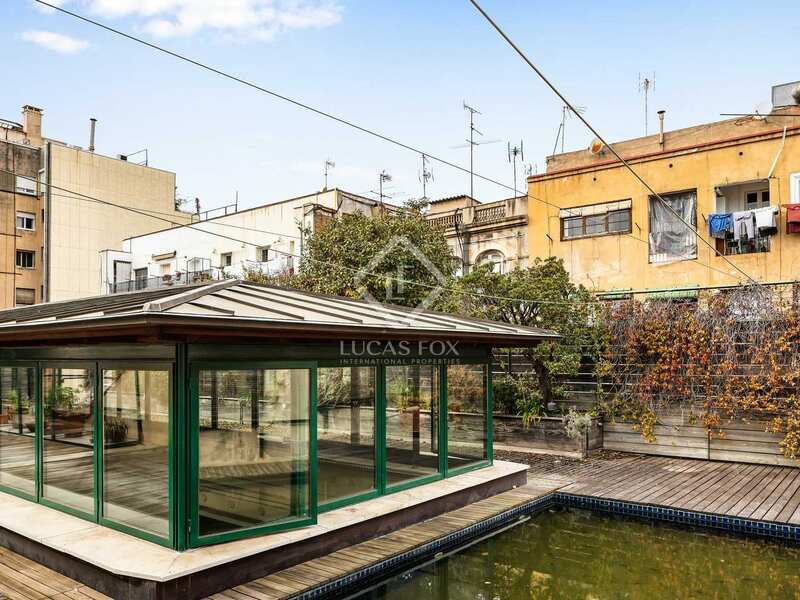 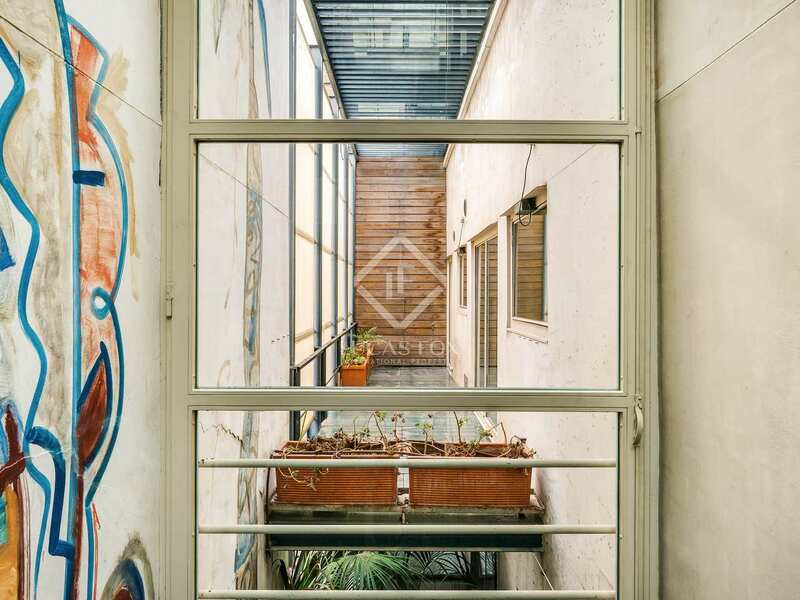 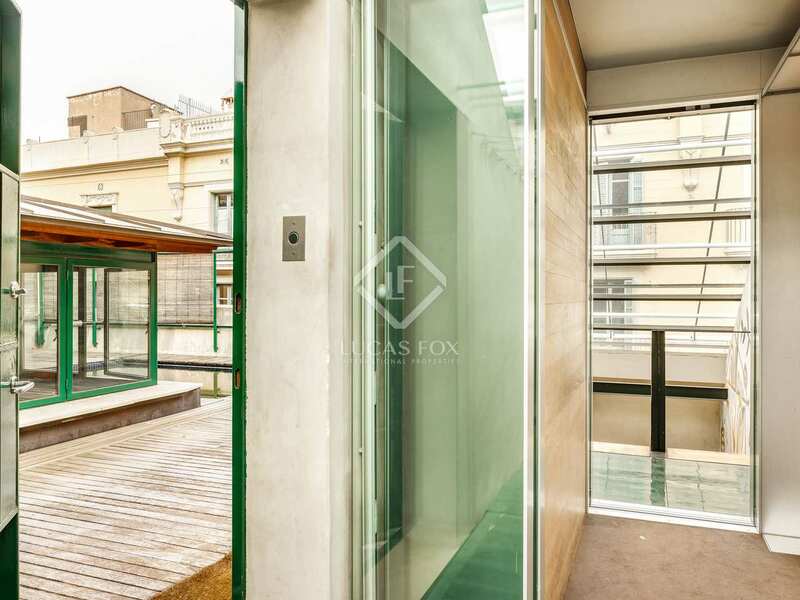 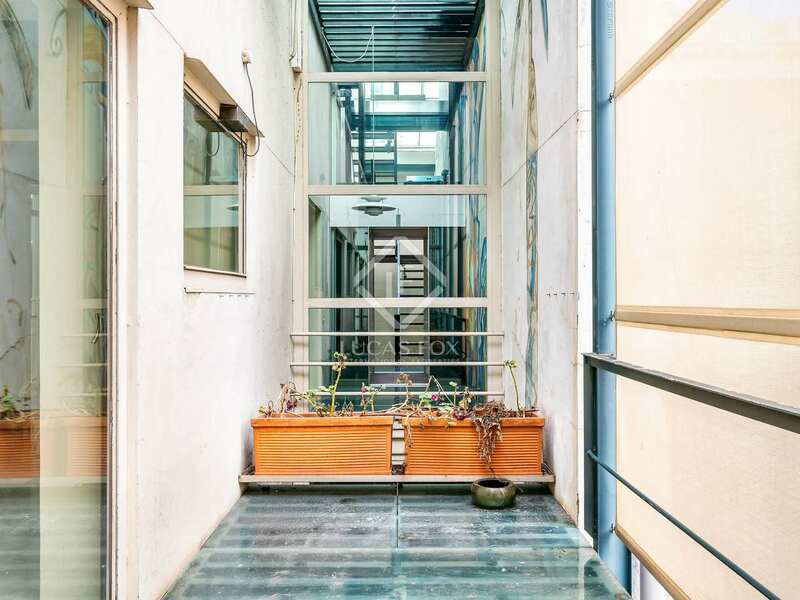 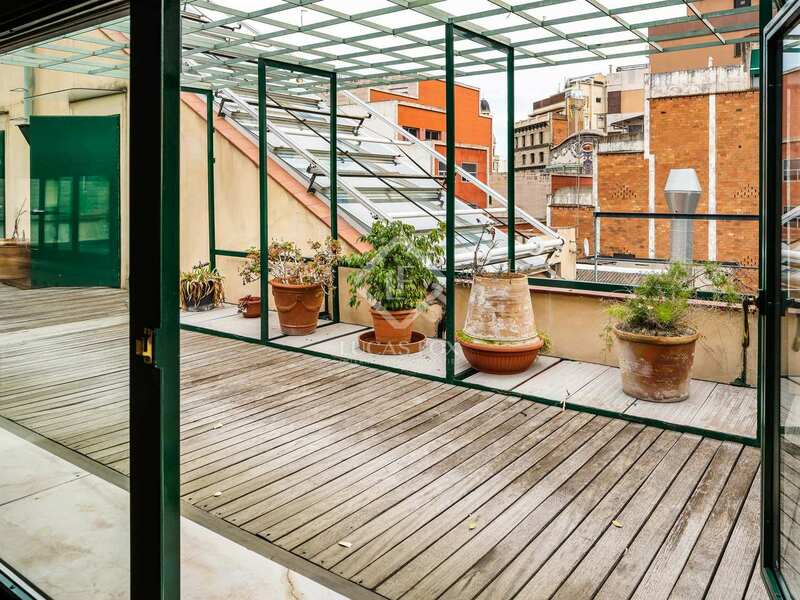 This building enjoys an unbeatable location on Carrer de Santa Teresa, a pedestrian street that is just a step away from Diagonal and Passeig de Gràcia; all the advantages of living in a quiet street on the edge of the neighbourhood of Gràcia, yet at the same time close to 2 important streets with all services and amenities. 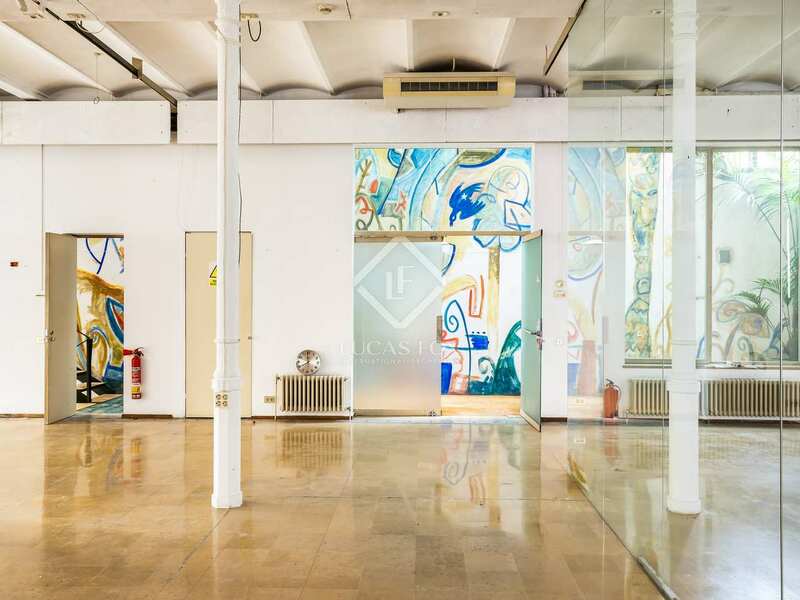 This area offers all everyday services such as supermarkets, shops of all kinds, international schools, health services and excellent public transport connections. 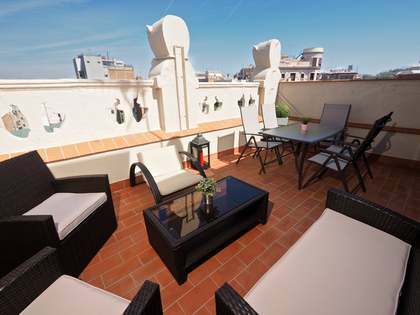 Gràcia itself is one of the Barcelona's most charming neighbourhoods with plenty to offer.